The largest dermatology practice in the United States with over 180 locations, Advanced Dermatology and Cosmetic Surgery in central Phoenix is committed to providing dedicated and personalized patient care in a state of the art clinic. 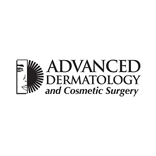 Dr. Matt Leavitt founded Advanced Dermatology and Cosmetic Surgery in 1989. The practice offers clinical, medical and cosmetic dermatological services, as well as hair transplants. If you are interested in skincare treatment, look no further than Advanced Dermatology and Cosmetic Surgery in central Phoenix!